In today's economy, a little extra cash can go a long way. If you're like most people who read Tarot, you've probably entertained the idea of doing readings for money more than once. Whether you're just starting to explore the idea or have already started reading professionally, Professional Tarot is the book you need to translate your Tarot reading skills into dollars. 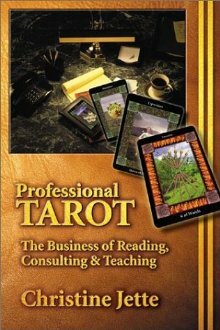 Author Christine Jette's combined background in nursing, psychology, teaching, and Tarot consultation provides practical insights into the counseling and business aspects of reading Tarot professionally. With Professional Tarot and your own determination and enthusiasm, you can create prosperity for yourself and provide helpful advice to others as you build your own successful Tarot business.